Become a Certified Emotion Code Practitioner in less than 6 months with our easy and fun self-paced certification program. You’ll learn by watching videos, taking quizzes and a final test, and get hands-on experience by doing healing sessions with 30 different practice clients. Then you’ll be able to legally charge for your services once you are certified. 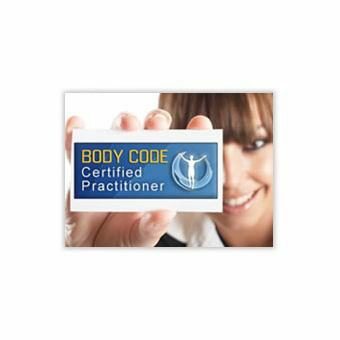 Become a Certified Emotion Code Practitioner and open yourself up to a new world of physical, emotional and financial freedom as a credentialed energy healer! No experience is required— this program contains all the training you need to become a professional healer, whether you have any prior experience or not. Join the 5,000+ Certified Emotion Code Practitioners all over the world who are confidently doing healing work for their family, friends and clients, and making a living doing what they love! You’ll have 6 months total to complete all requirements. The entire program only takes 40 to 60 hours total, averaging about 2 hours per week over the 6 month period. Many people find they are having so much fun, they graduate early! If you’ve been considering getting certified in The Emotion Code™, there’s no better time than now! This is the best way to gain experience, and a deeper level of healing for yourself. Most find that their emotional intelligence increases throughout the process, and many feel more deeply connected to others around them. If you decide to start a healing practice as an Emotion Code Practitioner, you’ll be able to enjoy the flexibility of creating your own schedule, working from anywhere, and having the freedom to travel. The Emotion Code™ Certification Program is easy, fun and incredibly rewarding—we guarantee you’ll love it!